Long Branch is a lovely beachside resort city in Monmouth County New Jersey with an estimated population of 32,091 as of July 2005. 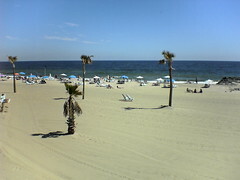 It is one of the largest cities on the Jersey Shore and attracts many tourists every year. Since as early as the 1700s, Long Branch has been a booming resort town. In the 1800s some considered it a Hollywood of the eastern seaboard, where some of the best actors of the day gathered and performed. It eventually lost this theater activity due to Hollywoods ascension as the nations film capitol. By 1950, seven presidents had vacationed at this peaceful city. City officials named a park near the beach, Seven Presidents Oceanfront Park, in honor of their visits. This 33-acre park offers facilities for swimming boating, picnicking, fishing or just relaxing in the Jersey sun. Long Branch is also remembered as the place where President James Garfield was taken, and eventually died, after he was shot on July 2, 1881. Today this resort city is planning a renaissance, which city officials hope will return it to its glorious heyday. Developers are planning a world-class resort in hopes to lure the well-to-do back to Long Branch. There are plans to rebuild the old pier and convert the old armory into a state-of-the-art sports and entertainment complex complete with an ice skating rink. If you are thinking of buying or selling a single-family home, apartment, condominium or luxury home in Long Branch or the surrounding areas, check my property listings or contact me.